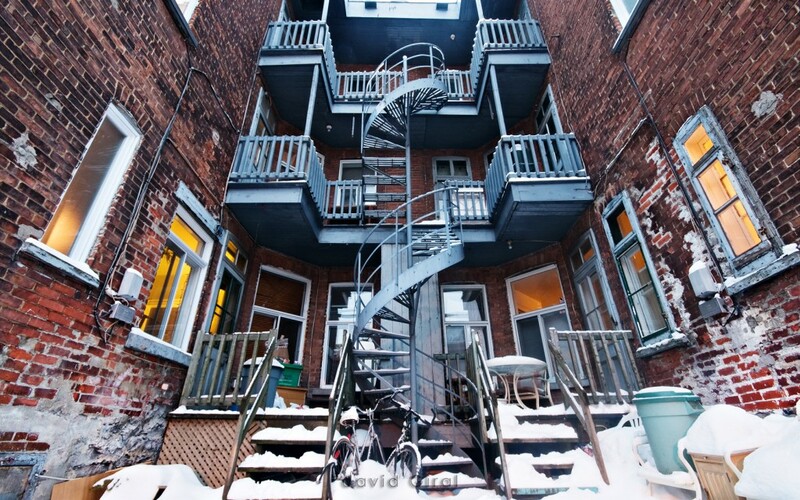 Since I got to Montreal in 1997, I’ve always been fascinated by those backyard alleys, and specifically those who display a lot of symmetry. The brickworks of many old buildings make for a great interest too. This specific photo was taken on Christmas Eve 2009 on a fairly overcast weather. I used a Nikon D300 and a Sigma 10-20mm all zoomed out at 10mm to make sure I captured the whole scene. I used a tripod to be able to stay at low ISO. The exposure lasted 2.5 seconds at F/10.0 and ISO 200. Retouching involved mainly curves and levels adjustments in order to increase contrast on the whole image as well as locally. Video showing the adjustments done on each adjustment layer in Photoshop.